Not until recently has artificial intelligence come closer to becoming a reality than it has been for several decades now. Let us just say; it is virtually not as we had perceived it to be for so long. But in our defense, the concept has been interpreted differently in various departments over the years. It is due to ill-founded urban legends that have caused many to believe some brainless rumors about this technology. This is why it has fallen upon us to dispel some of those rumors right here in this article. 4 Artificial Intelligence Modern Myths! What is it about machines that humans don’t have? They don’t tire out; they are consistent and they can stay active for as long as they like. It is under this assumption that many people believe that artificial intelligence is going to usurp humans in terms of productivity. However, there are two shortcomings to this notion. The first is that it is hard for AI to eliminate jobs given the rise of productivity in the American market. It is also hard to automate a large number of jobs with AI considering how narrow it is at doing only one job well. Even if AI were capable, it would still create ample job opportunities. This is because if jobs in one firm go down through higher productivity, then so do the costs. The savings can be recycled through lower prices or higher wages. So this is considered to be one of the Artificial Intelligence modern myths. As a result, this puts more money in the economy, and the money is then spent in creating jobs that supply the goods and services that people demand as their income go up. If you are more concern about the employment or career, read 3 Types of Programmer needs for Software Developer Jobs in Future. You will never think of getting unemployed. For decades, people have been anticipating that there would a time when machines could emulate human intelligence. Today, it makes sense thanks to the digital computing that came into existence in the middle of the last century. 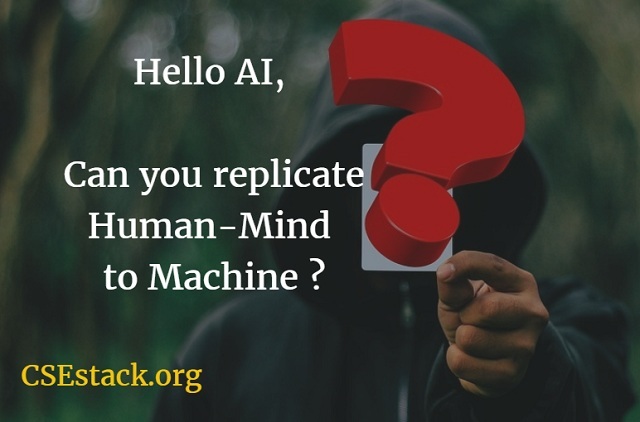 Since then, there have been many projects that pushed the idea of replicating human-like thinking, especially in brain-simulation programs. The only problem is that the human brain is extraordinarily complex, and so is the brain of a rat. There is no logical way to emulate the exact way our brains or the brains of other creatures into a digital device. So isn’t this considered as one of the Artificial Intelligence modern myths? Given how much we are surrounded by digital devices and how interconnected we are with Wi-Fi; it seems plausible for our privacy to be violated. There a couple of reasons why that cannot be the case. While AI systems have access and control over more information, the threat to privacy weighs more in non-AI systems. This is because those systems already have large access to classified and personal information. Besides, the rules that govern the data use and protect privacy are also going to cover data analyzed by AI. Related Read: 7 Head-Turning BIG DATA Future Trends in this year. Undoubtedly, this is one of the weirdest Artificial Intelligence modern myths among all. For so long we have been drowning in the assumption that machines will become so advanced that they will get to the point where they will deem humans as a hindrance to progress. This is here where the idea of a Terminator eradicating humans jumps right in. Apparently, people overstate the pace of technological progress, because the power of silicon computer chips is slowing down the progress in AI outside of deep machine learning is quite modest. And as we’ve already cited earlier in this article that the minds of humans and machines are completely different. This makes it is implausible to replicate a human mind in the form of a machine. She is a Tech Blogger and works in an IT company. She is a tech junkie and keeps looking for the current technological trends. She is also an expert academic writer and editor. The majority of her articles takes a critical review of a technological product or presents his view on the future of technology.